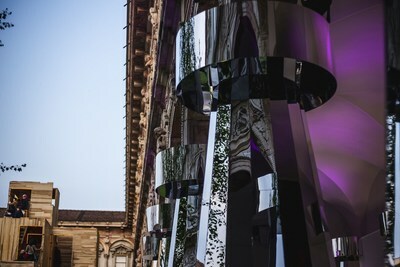 The KROSNO GLASS exhibition in Milan is a story about glass, which is an inseparable element of human everyday life. The main theme of the event is Human Spaces - objects or spaces present in human life and contributing to the well-being of their owners. 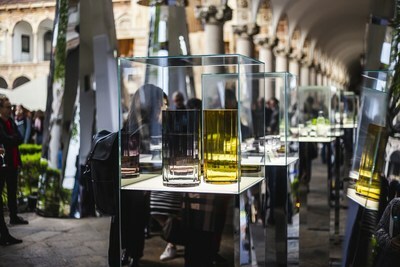 The KROSNO exhibition of glass works of art is presented in the historic, 15th-century spaces of the University of Milan and will last until 14th April. The installation "Sakred Geometry" by Mariusz Miękoś refers to the glass construction of the cone known from the Sakred collection and was developed with the utmost care to fit into the style of beautiful and historic university spaces. The installation "Sakred Geometry" inspired by the SAKRED collection was created by Mariusz Miękoś, an architect. The exhibition, where you can see glass works of art from the resources of KROSNO glassworks, is the work of Dorota Koziara, a designer known in Poland and abroad. Dorota is one of the designers who started cooperation with KROSNO D'SIGN brand.